The center portrait was created from Houdini’s favorite publicity photo. On the left Houdini is performing his “challenge handcuff” act; it was in escapes, not magic, that Houdini would find his great success. On the right is Houdini’s most famous escape, the Chinese Water Torture Cell. Houdini affectionately referred to it as The Up Side Down. Contrary to common belief Houdini did not die performing this act. In the center are the Famous Mirror handcuffs, a custom set of cuffs made as a special challenge for Houdini by the London Daily Mirror in 1904. It was reported that 4000 people and more than 100 journalists turned out for the much-hyped event at London’s Hippodrome theater. The escape attempt dragged on for over three hours. When Houdini finally emerged free he broke down and wept when he was paraded on the shoulders of the cheering crowd. Houdini later said it was the most difficult escape of his career. Caught here in a rare moment of repose Houdini was a Hungarian-American magician and escapologist, stunt performer, actor and film producer. He was also a skeptic who set out to expose frauds purporting to be supernatural phenomena. 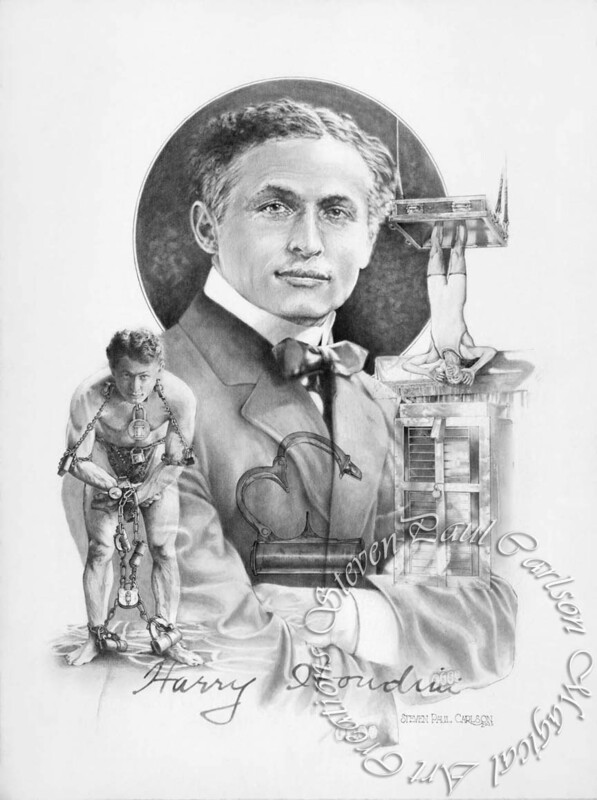 For the majority of his career, Houdini performed his act as a headliner in vaudeville. For many years, he was the highest-paid performer in American vaudeville. 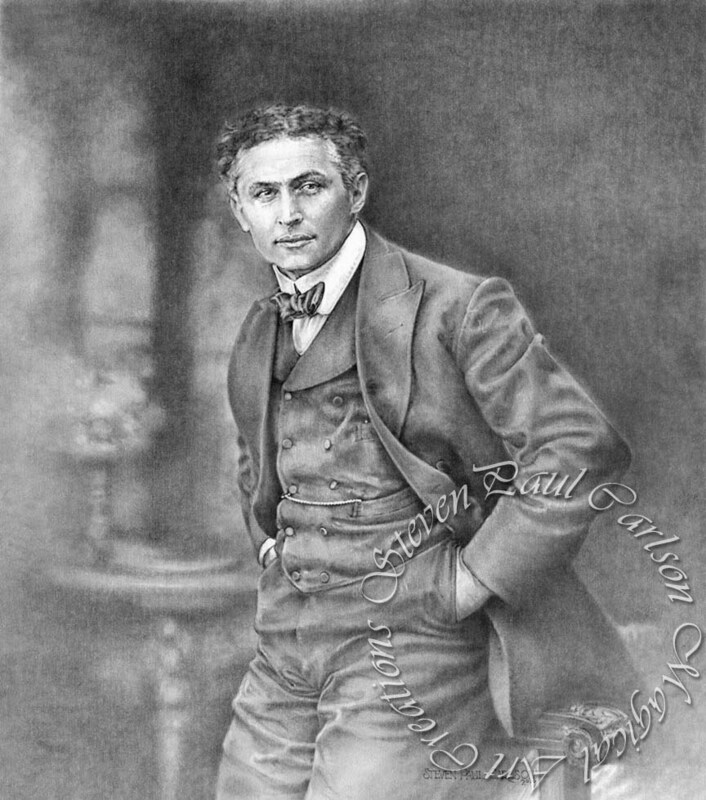 Born Erik Ivan Weisz (he would later spell his birth name as Ehrich Weiss) in Budapest, Hungary, on March 24, 1874, Houdini later claimed in interviews to have been born in Appleton, Wisconsin, on April 6, 1874.
and his wife Cecilia Steiner (1841 – 1913). Houdini was one of seven children. 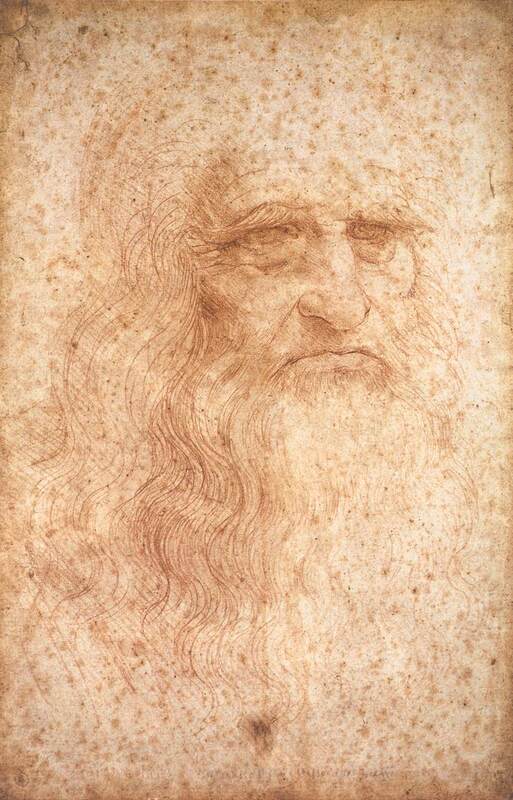 Leonardo da Vinci, a magician? Without question Leonardo is the undisputed heavyweight genius of all time and the quintessential Renaissance man. He was a master painter, sculptor, architect, musician, mathematician, engineer, inventor, astronomer, anatomist, geologist, cartographer, city planner, botanist, and writer and I could list more. And now it seems that the title, ‘amateur magician’ should also be added to Leonardo’s résumé! American soldier, bison hunter and showman Buffalo Bill was born in the Iowa Territory (now the American state of Iowa), near LeClaire. He was one of the most colorful figures of the American Old West, and mostly famous for the shows he organized with cowboy themes. 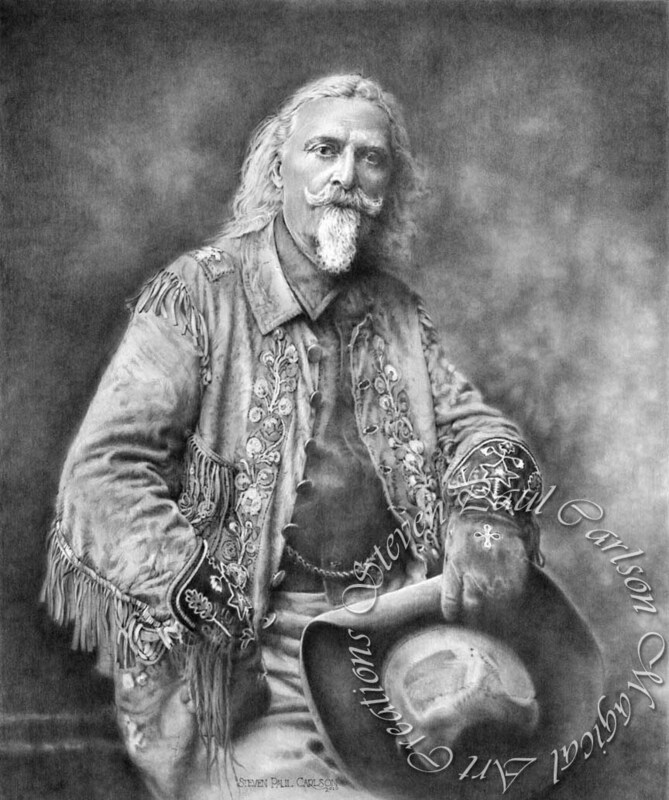 Buffalo Bill received the Medal of Honor in 1872. Graphite on board 16 x 20 by Steven Paul Carlson, Gicleé prints available.